Tickets will be available May 1st. Watch this space for a link to tickets on EventBrite! 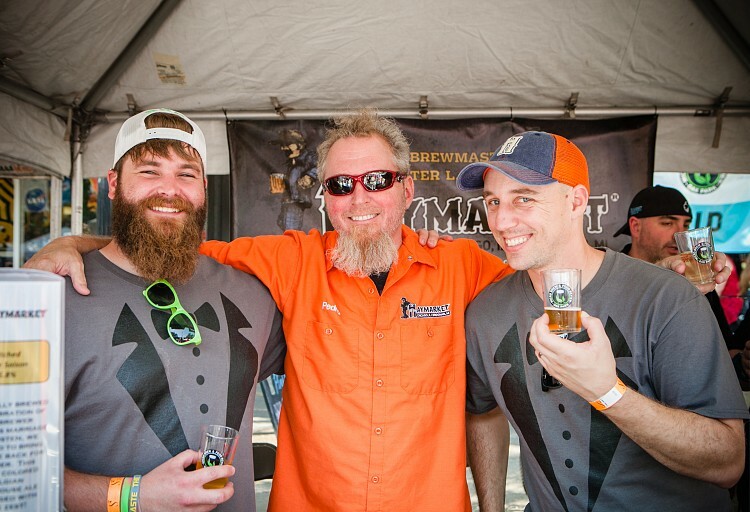 The BREWERS are the stars of this fest! Almost 200 of the finest curated selection of regional craft brews are poured at the #OPMBR2019. You’ll also find some that are not commercially available! See who’s coming this year here. 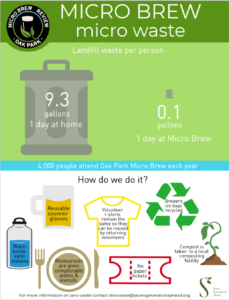 As the largest zero waste craft beet fest in the Midwest, Micro Brew diverts more than 80% of waste from the landfill. See how we do it with this infographic. Check out last year’s pictures here and the archives here. What is the Oak Park Micro Brew Review? 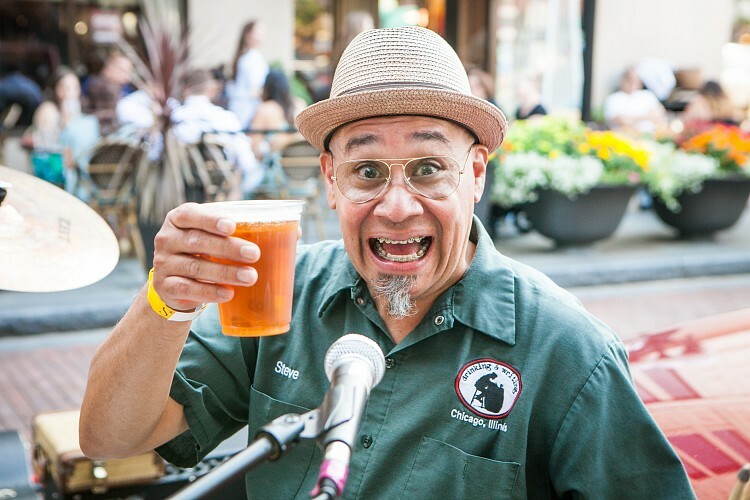 The Oak Park Micro Brew Review is the largest, zero-waste, craft beer fest in the Midwest. And we take that title seriously. 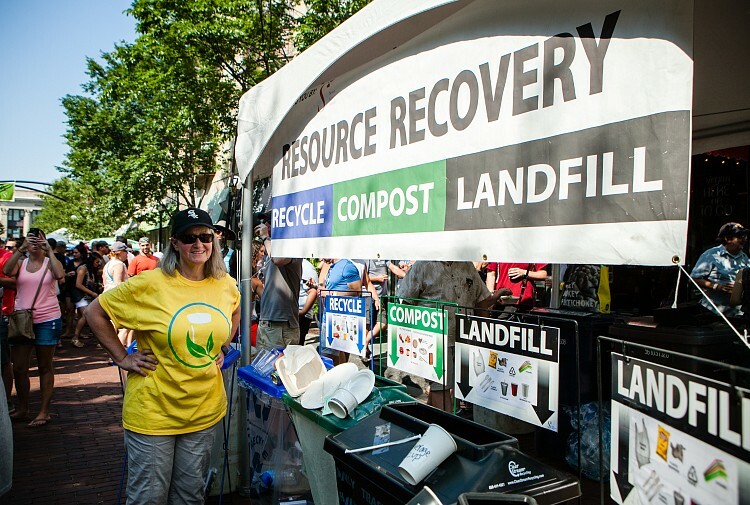 We work to send nothing from the event to the landfill. That’s right, nothing! 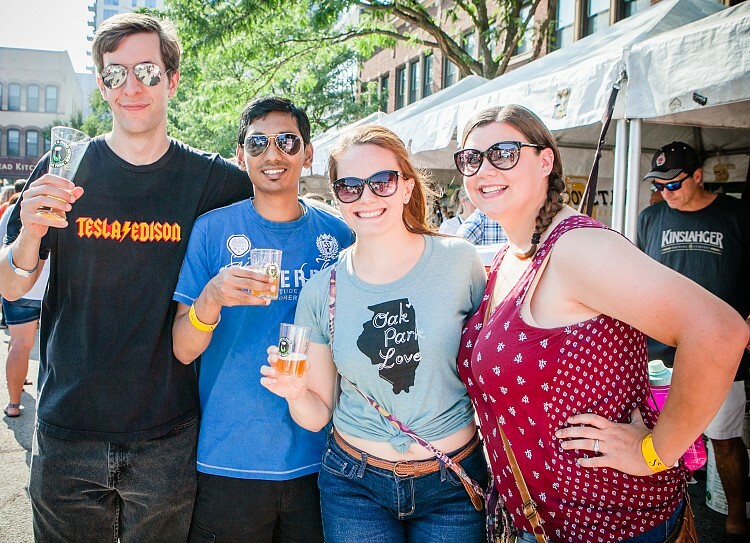 Last year, 80+ breweries enticed our guests with 200+ different beers in beautiful downtown Oak Park, IL. See here for this year’s brewer and restaurant list as well as the live music line-up. 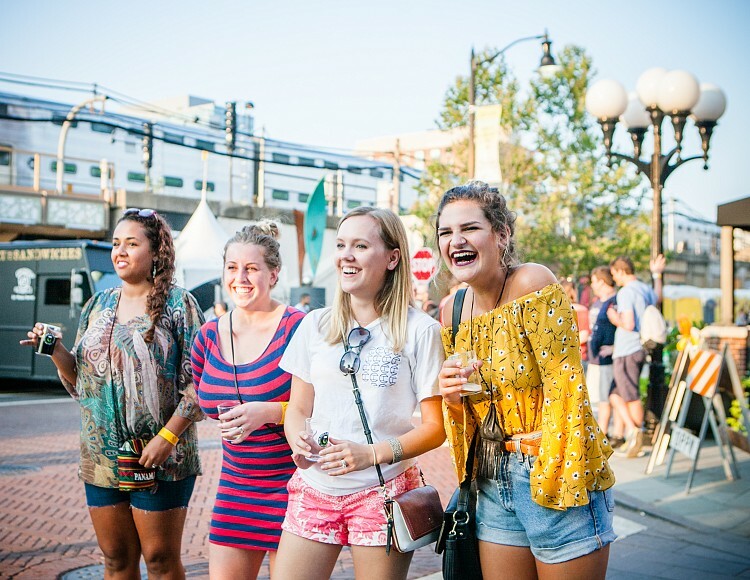 • In a lively downtown, easily accessible by public transit, great local food vendors, and live music throughout the fest, you’ll enjoy the opportunity to explore the finest beers the Midwest has to offer. • We limit ticket sales so you aren’t standing in line all day for beer. • The brewers themselves usually attend and pour, so you have a chance to talk to the people who brewed the beer. 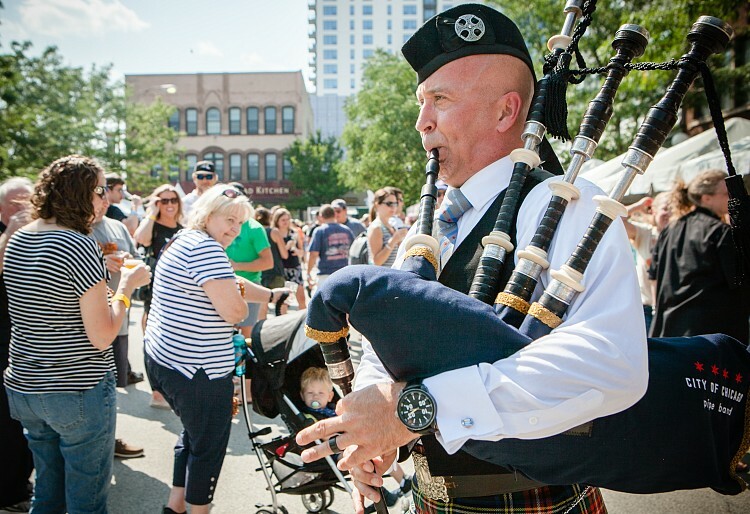 The Oak Park Micro Brew is held annually on Marion Street, Oak Park on the third Saturday in August. Gates open at 2:00 p.m. (beer pours at 3:00pm) and the event ends at 7:00 p.m. Which breweries will be there? Check out our ever-evolving list here. 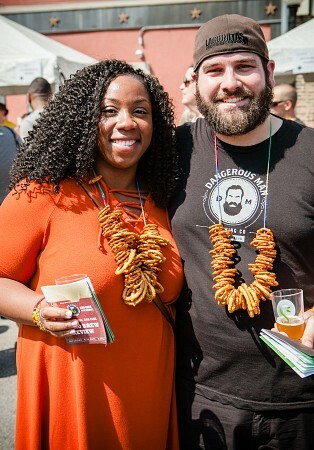 The General Admission ticket price for the 2019 Oak Park Micro Brew Review is $55, in advance. There will be a limited number of tickets available at the gate on the day. The Hop Challenge is a special event where each participating brewer will bring their best version of a single varietal beer to be named shortly. The winner will be determined by popular vote! Hop Challenge tickets include up to 40 samples in a 6oz glass and access to the Challenge from 2-6pm. Main fest opens at 3pm. General Admission includes up to 40 samples in a 6oz tasting glass and an informative program book to guide you toward the brewers on site. Unlike many beer events, we’re not out to make a buck. The event producer – Seven Generations Ahead (SGA) is a non-profit organization and the Oak Park Micro Brew Review serves as a fundraising event for SGA. Do you offer designated driver tickets? No. Designated drivers and those who don’t drink are welcome to attend the festival without a ticket. However, anyone seen drinking without a wristband will be asked to leave the festival site. Why should I purchase my ticket in advance? In past years the Oak Park Micro Brew Review sold out! In order to avoid disappointment on the day we recommend you purchase tickets in advance. Advanced tickets are also cheaper. If you do wish to take your chance and purchase on the day, we only accept cash at the gate. Why don't you offer unlimited beer samples with admission? Illinois State Happy Hour law mandates that public events are not permitted to offer unlimited drink deals. 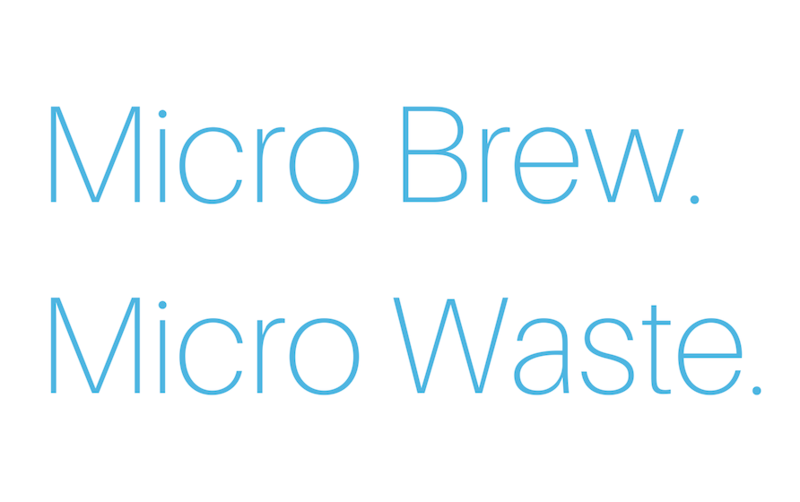 We check off tastes in the program book, rather than use drink tickets, to fit with the zero-waste policy of the Micro Brew Review. • Plus your very own tasting glass to take home! Food, provided by local Oak Park establishments, is an extra cost, payable to the food vendors. Are children and dogs welcome? Yes, of course! Be advised that the site does get very busy, so we’d advise you to come early so as not to miss out if your little one or four-legged pal gets over-whelmed. Go green! Take the green ‘El’ to Harlem or the Metra to Oak Park. For your convenience you can also use Valet Oak Park and drop your car off on the east end of our event at Forest Ave and North Blvd. To reserve your valet parking click here. Please note that due to the Oak Park Micro Brew Review, many streets will be closed and there is also much construction in the area. Plan your travel in advance to save yourself the stress on the day! Are credit cards accepted the day of event? 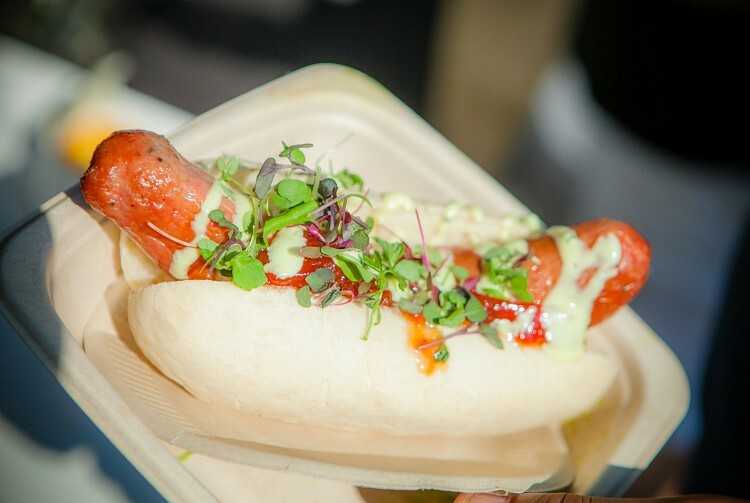 Cash only at the gate, but our food vendors will be equipped to take credit card payment for their delicious bites. There is a Chase ATM just outside the festival. Of course! Plenty of foods will be available, from small snacks to bigger meals — for both omnivores and vegetarians. Food is pay as you go directly with your food vendors. See here for this year’s restaurants. You are welcome to bring a chair to the event, but please be considerate and keep your chairs out of the middle of the festival grounds so as not to obstruct traffic flow between the beer tents. What is the mobile app you have available? We use Untappd so you can see what brewers are pouring at our fest and log in your tastes. Smoking is permitted at the Oak Park Micro Brew, but please respect this beautiful town by disposing of your cigarette butts appropriately. We have an amazing line-up for you to enjoy this year and will post the full list of artists in advance so you can plan your day appropriately. We are so grateful to our event sponsors. Please stop by their tents to say ‘hi’ and thank you! Be sure to also pay a visit to Seven Generations Ahead’s tent and learn how you can reduce your impact on the planet. What is your drunk and disorderly policy? All attendees are expected to drink responsibly. Anyone seen to be intoxicated will be removed from the festival site. Brewers and pouring volunteers reserve the right not to serve those who are visibly intoxicated. There are no refunds. The Oak Park Micro Brew Review will be held rain or shine. The event will not be cancelled or rescheduled. Can my ticket be transferred to someone else? 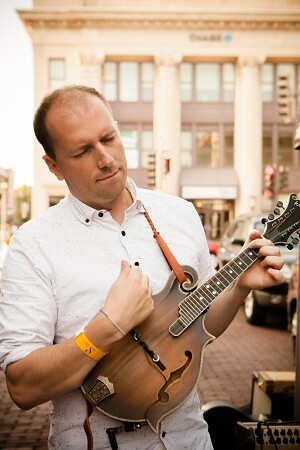 Yes – this is easy to do through your account in EventBrite, our ticketing service. Don’t forget your ID! Please dress for the weather and we recommend you bring a water bottle. Fair warning that during the couple of days leading up to the festival, we will not be checking email as frequently and may not have a chance to reply before the festival!